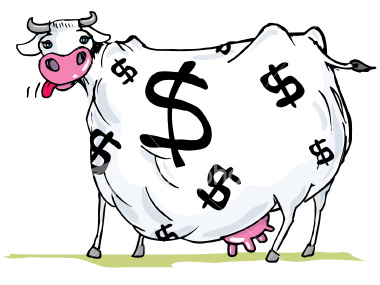 PARCC & Common Core: Taxpayer Rip-Off, a Cash Cow for Chuck Cagle, an Incredibly Bad Idea or All of the Above? “Double Dipping” is bad enough, but “Quadruple Dipping”? We begin today with the first installment of our series on one Chuck Cagle, a lawyer and lobbyist who has made a fortune in the education business. His is a long, tangled story full of dashing lobbying and legal derring-do and RTP will do its darndest to bring you the facts. For all you legislators who are fond of singing Cagle’s praises as an “expert” in education policy and law, you may want to pick up a new hymnal. Because once you hear the tale of “Quadruple Cagle” you may to want to change your tune. T.O.S.S. me some clients, won’t you? We start with perhaps Cagle’s most lucrative client base – The Tennessee Organization of School Superintendents (TOSS). Been sued by an irate teacher or parent? Have a contract dispute? Need interpretation of a regulatory requirement? Call Chuck and retain his law firm. Seeing that there are over a hundred school systems in the state, you can understand how cornering the market on school law might bring in some serious moolah. Cagle has maneuvered himself into the role of the “go-to” guy for numerous school systems on all things legal. Why he even advertises on School Buses (not really, but it wouldn’t surprise us if he did). But that is not where the short bus stops for its latest pickup on the Quadruple Cagle Cash Cow Caper. Oh no. You see Chuck is also the lobbyist for TOSS and as such is seen flitting the halls of LP representing their interests before the legislature. The relationship is so cozy that reportedly, when TOSS wants to have a board meeting, they use Cagle’s law office for their meetings. And Chuck has a non-voting seat at the table during the discussions, of course. So let’s review today’s lesson, class. Chuck gets paid with tax dollars by individual local school system (run by school superintendents who all belong to TOSS) to be their lawyer. Then he gets paid again (with tax dollars) to lobby for TOSS. There’s no telling how many tens or hundreds of thousands of dollars the Cagle law firm nets from representing school districts and from his lobbying fees, all paid with tax dollars. So what’s wrong with that, you say? What’s the big deal about a lawyer generating fees by representing both a school system and also lobbying for the superintendents who also hired or recommended him as their lawyer? Read on, dear taxpayer. Read and weep. As we all know by now (or should know by now), Bill Frist has pumped millions into a little organization called SCORE. And SCORE has become the de facto Dept. of Education for Tennessee. Any wonder that Kevin “Mr. Popularity” Huffman arrived in the Volunteer State brimming with enthusiasm for Common Core? Well, SCORE helped recruit him. In fact, Huffman’s Deputy Commissioner for Legislative Affairs came straight to the department from – you guessed it – SCORE. Yes, Stephen “Having a Bad Hair Day” Smith was the lobbyist for SCORE before he became the lobbyist for Huffman. So when Jamie Woodson and Frist were looking to put together a board of directors for SCORE to push through the Obama-backed education program called Common Core, who was one of the first people they put on the board. Yep – Chuck Cagle. So Chuck found himself in the veritable catbird’s seat, advising an organization that was providing the political and financial muscle to ramming Common Core through the legislature. Why is that important? Glad you asked….. In our Next Installment we explore the Pearson connection, the Common Core Scam and the millions of taxpayer education dollars Cagle helps direct from your pocket to his pocket and those of his clients.